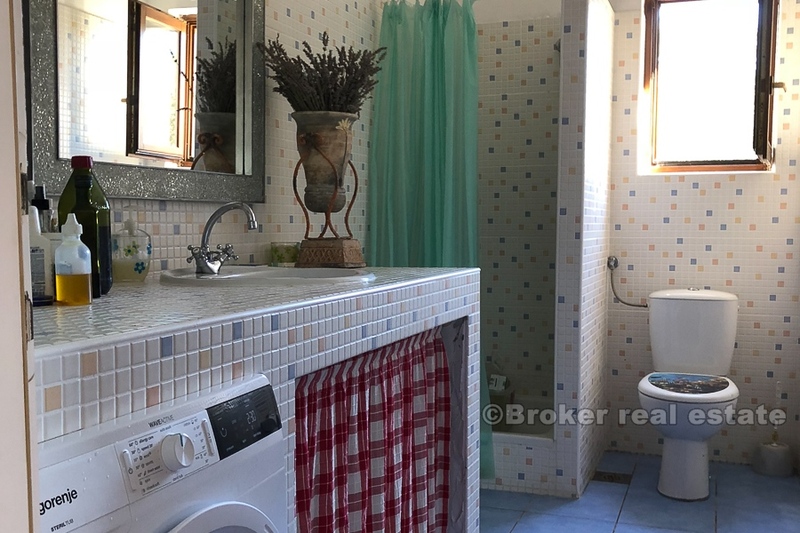 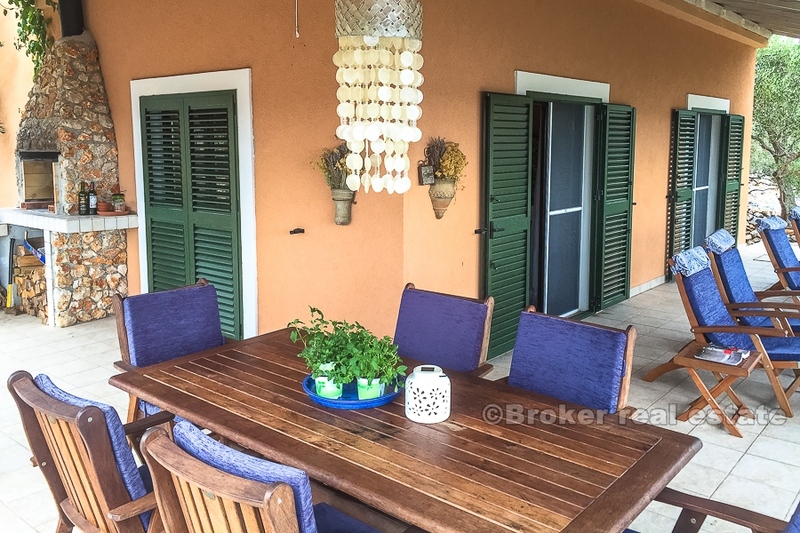 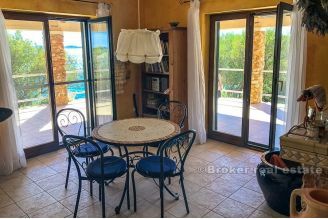 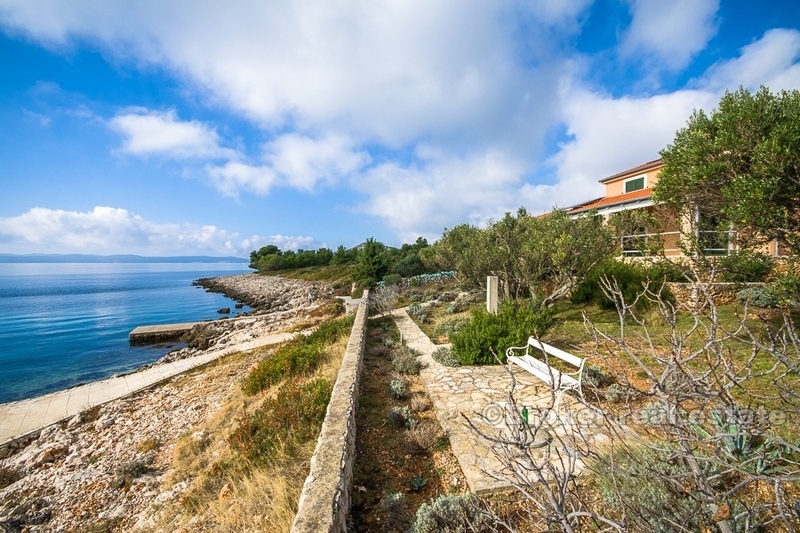 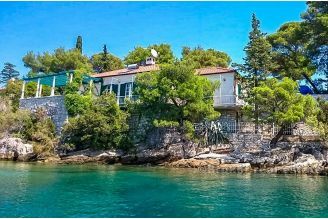 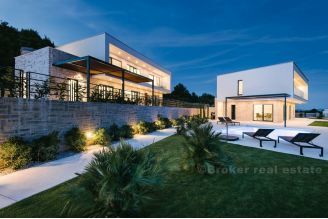 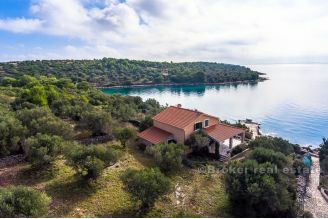 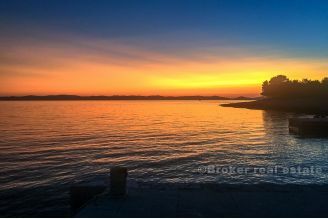 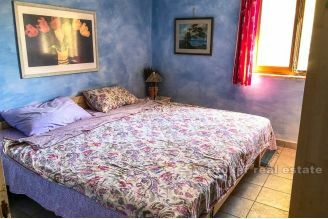 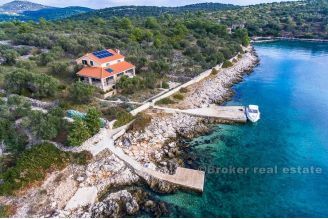 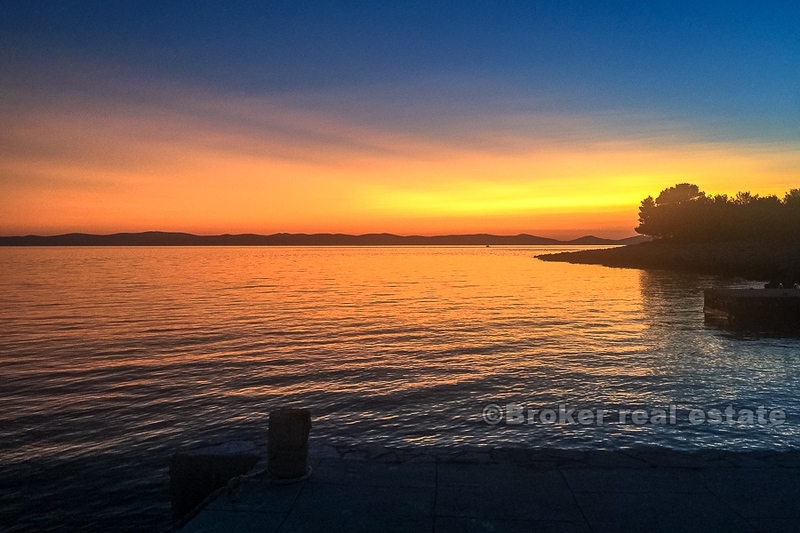 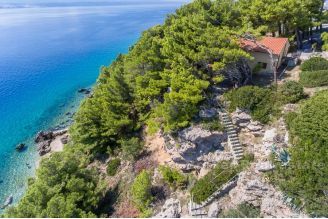 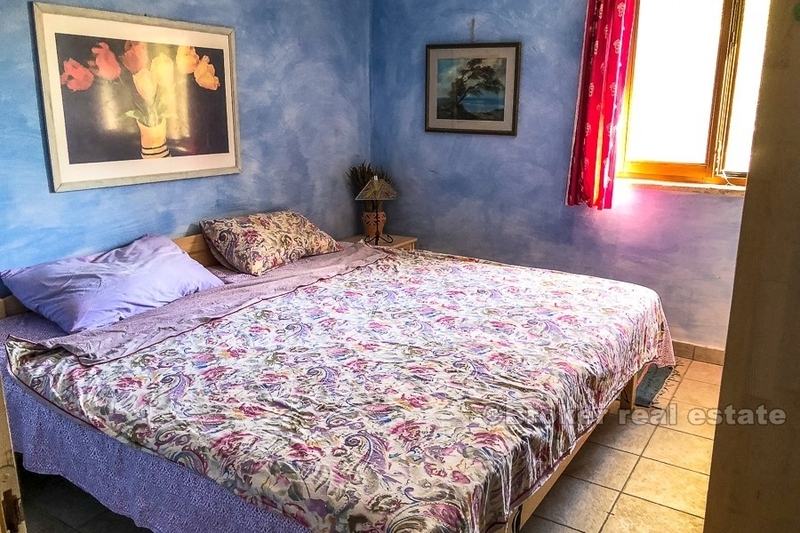 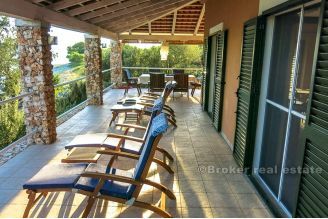 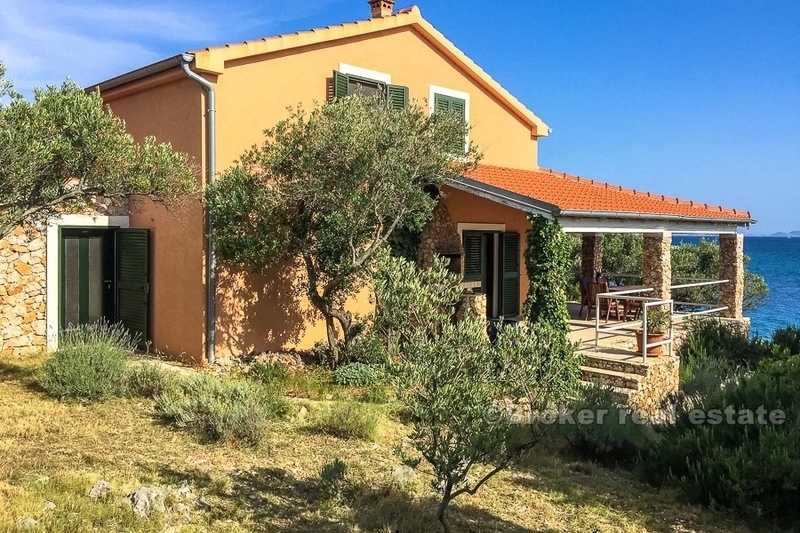 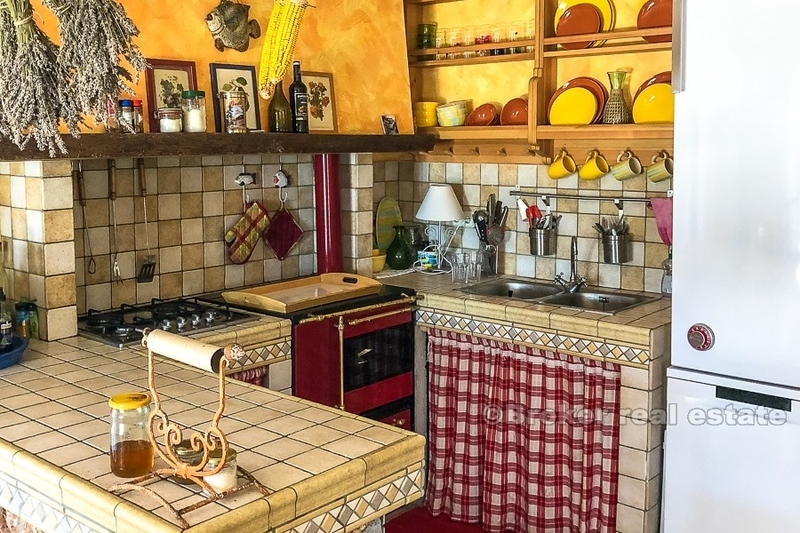 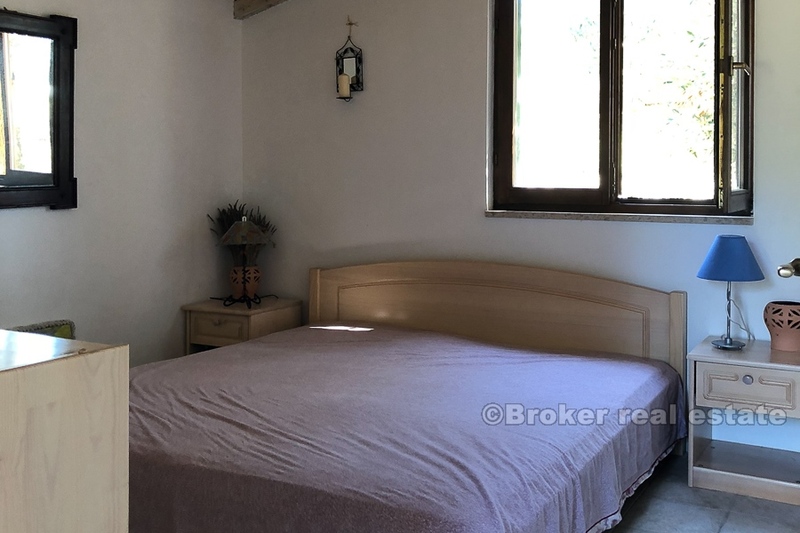 An attractive property located on the southwest side of the uninhabited Middle Dalmatian island, only 5 km from the mainland, with views of the sea and surrounding islands, including the Kornati National Park. 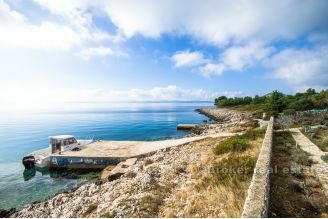 In front of the property there is a concrete moor with a berth for the boat. 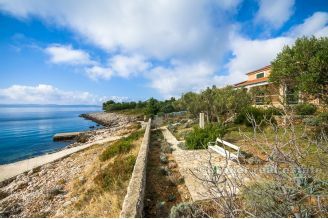 The property was built 10 years ago and extends over 180 m2 of living space. 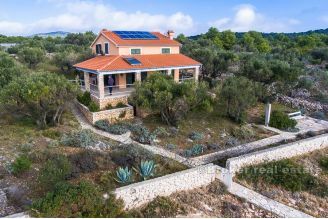 It consists of 5 bedrooms, 3 bathrooms, a large living room with a kitchen decorated in Mediterranean style, using exclusively natural materials - wood and stone. 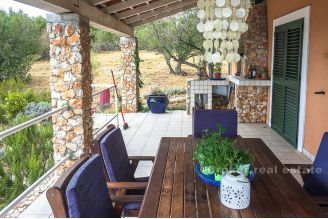 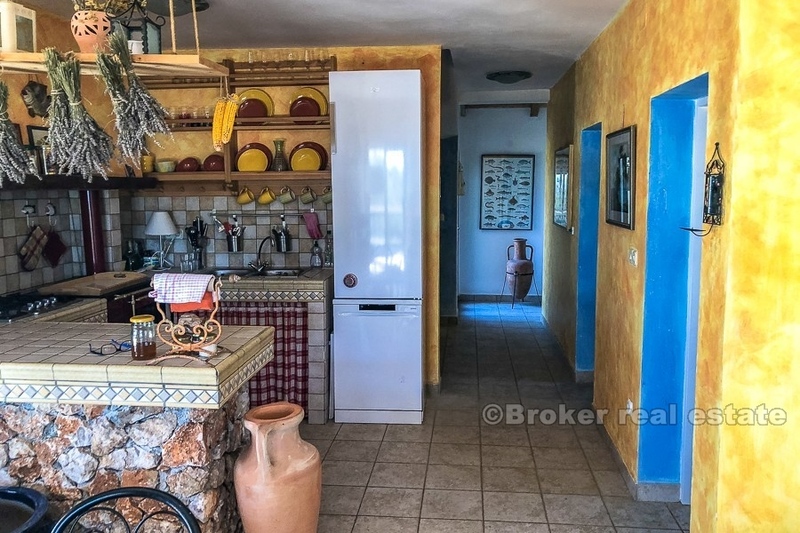 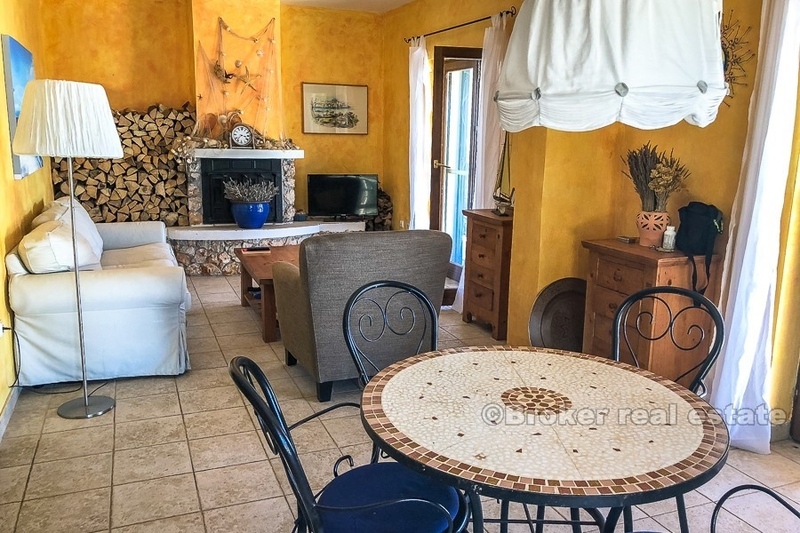 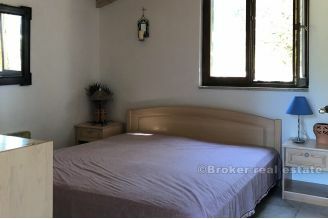 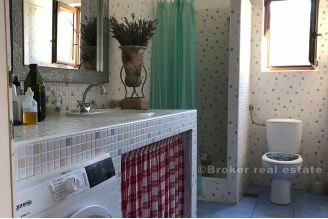 In front of the property there is a covered terrace of 50 m2, together with summer kitchen. Solar systems (2018) are installed on the house, which provides electricity and hot water. 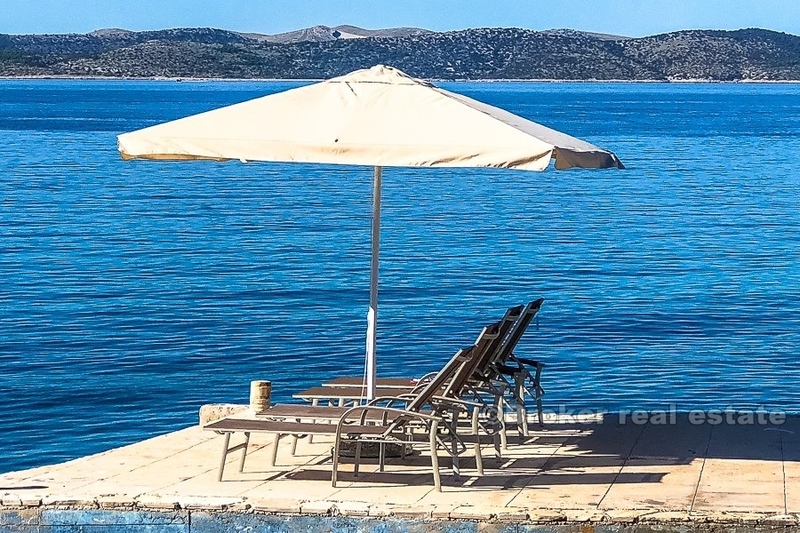 The 40,000 liter concrete tank with the filtration system provides potable water. The property is fully equipped, so in 2018 two new refrigerators, washing machines and dishwashers were acquired, so the new owner can immediately use the property without any additional investment. The open fireplace is using for heating on wood if, therefore, real estate except in hot summer days, can be used over the winter. With the house, on sale is a motor boat with a cabin (SAVER 22 fisherman, with Suzuki 220 hp engine) in very good condition, with permanent mooring in Pakostane, and parking distance 50 meters from the mooring.